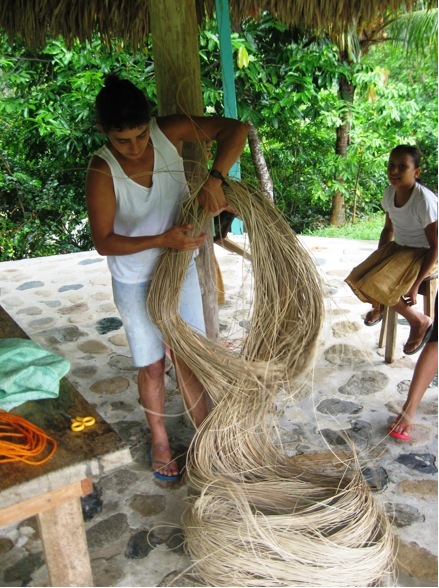 GreenWood and the Honduras nonprofit Fundación Madera Verde began working with mimbre artisans in the community of Mezapita in 2004, providing support for quality control, marketing, small business and legal forest management. In developing the first management plan in Honduras for a nontimber forest product, the mimbre vine had been variously identified as one of two other plant species, Heteropsis oblongifolia and Philodendron rigidifolium. However, after GreenWood consulted with Dr. Michael H. Grayum, Curator of the Missouri Botanical Garden, we discovered that the plant was actually an undocumented species of the genus Monstera. The process of documenting and naming the new species took almost a year and a half to complete, but in March 2012, Alex’s and Dr. Grayum’s co-authored article “A New Species of Economic Value from Honduras” was accepted for publication in the peer-reviewed journal, Economic Botany. The forests where M. maderaverde is found are relatively intact and unthreatened compared to other hardwood forests in Honduras. Nonetheless, large hydroelectric projects are proceeding on the periphery of the forest, and a general lack of governance and enforcement of environmental regulations prevails throughout the region. Tree poaching is common, boundaries are ignored, government signs are vandalized, and forest rangers are among the most endangered of all species. Interviews with community members also reveal that large areas of M. maderaverde habitat have already been lost as a result of overharvesting, which could resume if increased demand leads to uncontrolled harvesting. 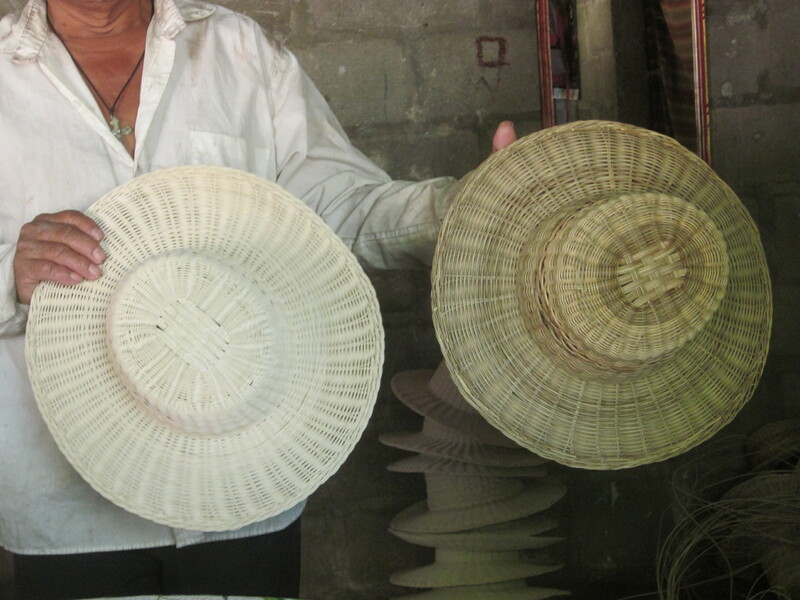 For this reason, GreenWood and Madera Verde are helping artisan communities maximize their return, by converting mimbre into high-value products, developing good markets and reinvesting a portion of their profits in the sustainable management of the resource. When such a well-known species is overlooked or misidentified, it's likely there are more. GreenWood and Madera Verde teamed up with Mezapita community members, Honduras-based botanists, and the Missouri Botanical Garden, in cooperation with the Honduran forest service (ICF) to collect samples of as many plants as possible in the Monstera maderaverde habitat. More than 50 different types of plants, including some poorly documented species of palms were recently collected. Samples are now being analyzed at the Missouri Botanical Garden, and we look forward to seeing what other surprises these forests will yield. A copy of the Economic Botany paper will be posted here as soon as it is published.